The Pan African Media Alliance for Climate Change (PAMACC) has partnered with SouthSouthNorth Projects Africa (SSN) which is acting on behalf of Weather and Climate Information SERvices for Africa (WISER) to have its member journalists report deeply on the social and political implications of delivering weather and climate services in East Africa. We are particularly interested in journalists who are looking to expand their knowledge of weather and climate services reporting. We encourage staff writers for East African publications to apply. A weather or climate service which has contributed positively to lives and livelihoods by helping communities or decision makers deal with extreme weather events (such as storms, flood and droughts). 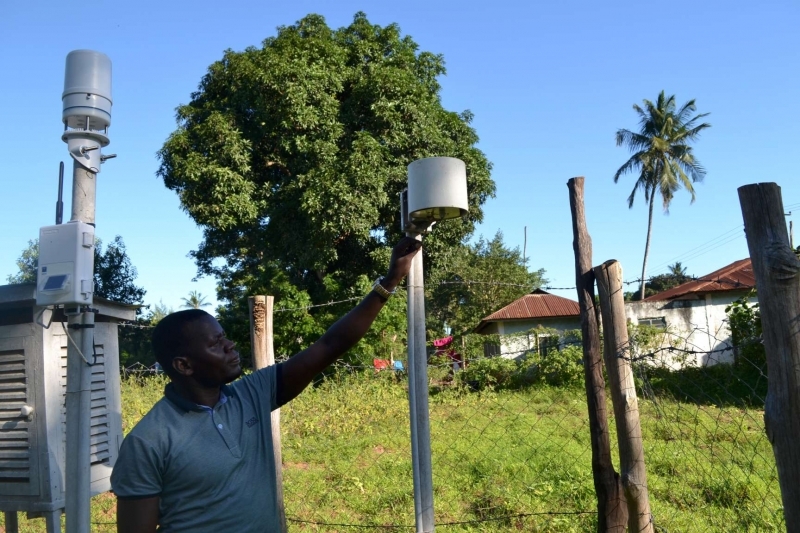 A national meteorological agency (potentially in partnership with civil society or the private sector) is delivering a new or novel weather or climate service that is improving (or may improve) the lives of recipients. Better information on climate change that can support better policy or planning decisions or poverty alleviation efforts. A new technology that has been tested or commercialised to provide a weather or climate service. There is a strong preference for deep reporting on WISER projects, but it is expected that journalists use their discretion in deciding what the most important weather and climate service-related stories in their country (or region) that fit the above briefs. Based on the above information, PAMACC is running a closed competition for its active members to produce six major stories across at least three countries in East Africa. The stories will be produced between January and November 2019. This call runs from today (February 4, 2019) to March 8, 2019.
Review and shortlisting will be done from March 11, 2019 to March 17, 2019. Production of the first three stories is expected to begin on March 18, 2019 to June 30, 2019. Production of the last three stories runs from July 1, 2019 to November 15, 2019. Winning journalists will be paid fees for covering the stories, travel and production expenses. We encourage coverage across different media, including print, radio, television and online publications. Journalists should only be paid once stories are published. Eligible candidates will be based in, and hold passports for, one of the following countries: Ethiopia, Kenya, Rwanda, South Sudan, Somalia Tanzania and Uganda. Successful candidates will have at least five years reporting experience. A background in climate change reporting is not a prerequisite; we encourage journalist with a background in environmental, political, business, or science and technology reporting to apply. A strong track record in original coverage of development stories in East Africa will be seen as a positive. Strong spoken and written English is necessary. A pitch for a story that fulfils the given criteria. The stories will first be published on the PAMACC website. We are also at liberty to share the stories with our partners on this project. Note: Applications should be send to Protus Onyango via pnabongo2002@yahoo.com. Mr Onyango is the PAMACC East Africa Coordinator. According to the Global Framework on Climate Services, Climate services provide climate information to help individuals and organizations make climate smart decisions. National and international databases provide high quality data on temperature, rainfall, wind, soil moisture and ocean conditions, as well as maps, risk and vulnerability analyses, assessments, and long-term projections and scenarios. Socio-economic variables and non-meteorological data such as agricultural production, health trends, human settlement in high-risk areas, road and infrastructure maps for the delivery of goods, may be combined, depending on user needs. The data and information collected is transformed into customized products such as projections, trends, economic analysis and services for different user communities. Climate services equip decision makers in climate-sensitive sectors with better information to help society adapt to climate variability and change. Weather and Climate Information SERvices for Africa (WISER) is a project funded by the UK Department for International Development and led by the UK Met Office. Its mission is to deliver transformational change in the quality, accessibility and use of weather and climate information services at all levels of decision making for sustainable development in Africa. Future Climate for Africa (FCFA) is a research programme funded by the UK Department for International Development. It’s mission is to reduce the impacts of climate change in Africa by significantly improving the scientific understanding of climate variability and change across Africa and improving the use of climate information in planning and policy decisions. BBC Media Action is the BBC’s international development charity, funded independently by external grants and voluntary contributions. The purpose of the organisation is to use media and communication to reduce poverty, improve health and support people in understanding their rights. As part of the WISER-PAMACC fellowships, WISER in partnership with the Future Climate for Africa Programme and BBC Media Action, will host knowledge exchange events between journalists, meteorologists and climate change experts. These are open to all PAMACC members to participate in as far as possible. These events will give an opportunity for African meteorologists and climate change experts to share the latest advances in the field, key messages from the latest weather and climate science, and good practice recommendations for communicating climate science. The events will also give journalists an opportunity to inform meteorologists and climate scientists on issues driving local, national and regional news coverage and how meteorologists and scientists may improve their own skills for engaging with journalists and news media and the relevance of their work to news media. Lastly the knowledge exchange events will serve as a marketplace where journalists and experts can network and build relationships. About PAMACC: The Pan African Media Alliance for Climate Change (PAMACC) is an association of African Journalists who report on climate change, environment, sustainable development and related subjects. The network was formed on the 5th of June 2013 in Nairobi, Kenya by environmental journalists, who were then finalists of the first African Climate Change and Environmental Reporting (ACCER) Awards. The award was an initiative of the Pan African Climate Justice Alliance (PACJA) in collaboration with United Nations Environment Programme (UNEP). The Alliance has 120 members, located in different parts of the continent. PAMACC has coordination offices in four regions, namely the East African Region, The Central African Region, The West African Region and The Southern African Region. The Network has since been registered in Kenya as a Media Trust. The original call for applications can be viewed on the PAMACC website here.